Limited Offer: Botox, Juvéderm, Volbella, Voluma, & Kybella*! This is an amazing promotion!! Act fast and schedule your appointment now before this limited offer runs out! 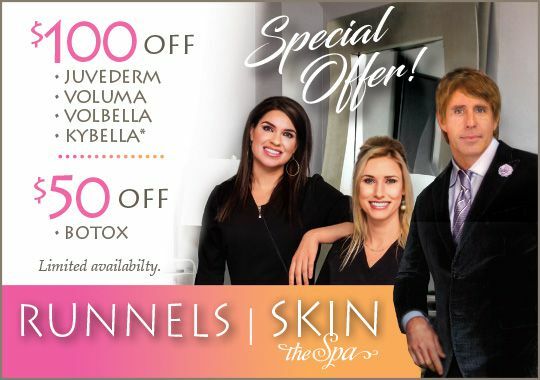 Call SKIN the Spa at the Runnels Center now at 601.939.9778! *Kybella offer available by coupon only, which you can get by clicking here.